Advertising, regardless of form is a key component in your company's marketing mix. But did you know that in 2011, online advertising has beaten out print and radio as the number two place ad dollars are spent. But how did it come to be that way? Four thousand years ago Ancient Egyptians invented advertising by carving public notices in steel. Fast forward to the present day, and in-text online ads, Facebook Like-driven campaigns and viral commercials are common form. This illustrated timeline, created by Infolinks, takes a walk down advertising’s memory lane. Contact us to consider the best means for your company's advertising and marketing. From Blundering to Winning – "The 3 Most Common Sales Presentation Blunders"
Most sales personnel "learn" sales presentation by mimicking their boss's mistakes. If you haven't been properly trained to sales present you may lose sales, bore prospective clients, and may be doomed for overall failure! Picture your last sales presentation . . . How much of the material presented actually needed to be there? How long did it take to present? And what was your reason for presenting that way? While, I feel too many sales people make up for lack of skill with power point sales presentations or canned presentations (pitch books). I also feel it is far too easy to become lazy and sloppy with using “your canned sales presentation” as a means to acquire a new client. With that said, when you need to present with power point here are a few blunders to avoid. In the age of information, it is easy to overwhelm your prospect with content not even relevant to the sale and actually make their decision more difficult. Dimming the lights and letting Power Point, (loaded with content your prospect is inclined to read), lead the way — takes the attention off you. Presenting features and functions is like explaining the material used in phones, rather than what a phone can mean to your life. What your solution IS and DOES, has much less emotional impact than what it MEANS to them. Rather than go through the engine – give them a test drive and ask them what they think and how they see this working in their world. Look again at your Agenda. Is it all about the customer and how their problems can be solved using your solution? Or is it about you: how long you’ve been in business, office locations around the world, etc.? Blunder # 3 — Not Telling Them What is Different about You Agendas set the tone and focus of your presentation. They work best when they alert your prospect that you are there to solve their problems first. It is hard enough for prospects to make intelligent choices, don’t make it harder. If you cannot prove the difference between you and your competitor – how will your prospects? Make it easy for them! Spend time solving their problems, with clear and compelling reasons why they should choose you. 1. Keep your Presentation Simple and focused around three key relevant value propositions that are unique to your solution and important to this buyer. Highlight the unique value your solution and company alone can bring them. Make your unique value come alive in their world using tangible, concrete, simple and visual examples. 2. Know your Solution Story and be able to tell it with passion and proof. Focus the presentation on 3 to 5 problems/challenges you know your solution can uniquely solve. Use Customer Stories that highlight the before and after contrast as proof that your solution works. 3. Present from your Prospect’s Point of View, so they can imagine how your solution will benefit their business, financial and personal life. Build your Agenda around their needs, pains and desires. Seek to understand how your solution would work in their world. Ask for their feedback whenever you notice a peaked interest. Follow this simple formula and your conversations will help both you and your buyer WIN! If you look up the definition, "Guerrilla Marketing, is an unconventional way of performing promotional activities on a very low budget." While this is accurate, I'm not buying. The great guerrillas like Che or Mao had something more going for them than being "unconventional and cheap." Their battles became legend because they were thinking beyond the next quarter. That's why here I'm going in search of that "something more." As usual, I'm not claiming wisdom, so if you find omissions or flaws in my Mini version of Sun Tzu on the Art of Guerrilla Marketing, don't hesitate to hit me. Besides I am finishing my book on Guerrilla marketing, but enough shameful promoting. And if all this macho talk of warfare is getting a bit too masculine for your taste, just remember that Wang Cong'er was one of the fiercest guerrillas of them all. In the spirit of Guy Kawasaki: Don't launch a business unless you're prepared to change the world. No one ever freed a nation with features and benefits. People will get excited about your initiatives only if you clearly articulate how your proposition will liberate your customers in a way none of your competitors can. That is the true cause and banner of your guerrilla campaign. And if you can't come up with it, don't bother with the rest of this list. If successfully waged, guerrilla campaigns cause "death by a thousand bee-stings." Yet, all too often, marketing initiatives that claim to be guerrilla in nature are planned without regard for the 999 stings to come. This leaves successful campaigns without follow-up or even budget. While in war there may be merit in merely irritating your enemy, in business it's simply a waste of money. No guerrilla movement or revolution can succeed without popular support. Guerrilla campaigns are a great opportunity to involve your most loyal customers and staff. Consider community marketing, consumer-generated media (CGM), and co-creation programs to get them in the loop. Not to make money, but to help achieve the change you described in point 1. People love to improve the world. Invite them to your cause and treat them well. While agencies can be great allies by having extra resources to deploy, they also know that there will be a time that you will abandon them (come on, be honest). That is why they will offer you the same loyalty of any mercenary: as long as the money's good. The moment a budgetary glitch reduces budgets or margins, they will leave you to your own devices. That is why you should involve agencies whenever you need the extra firepower, yet avoid relying on them for the long run. That, you can only do on your own, with your own staff and customers (as long as you treat them well). Guerrilla campaigns are high on brainpower and low on budget. They use creativity, speed, and adaptability to capitalize on high-profile opportunities. Foster this attitude by combining tight budgets with high-to-impossible expectations from your marketing team or agency. And when they get lost in opportunities, focus their attention on the one thing that will really blow the market's mind. Guerrilla campaigns always capitalize on the element of surprise. Not once, yet over and over again. If you have something that works, change it before your competitors can respond. If you focus on one geographic region in one month, move somewhere completely different (or not...). If you can create a rhythm of surprise, yet stay true to your cause, your competitors won't see your next move coming, while your popular support keeps growing. Guerrilla campaigns are executed with laser precision. This means they get clear, quantifiable business objectives. Once these are achieved, you get out. Prolonging your initiative only leads to wasted resources, plus it gives your competition time to react. Similarly, if it looks like a new tactic you try isn't working, get out fast. Don't let your pride get in the way and run to fight another day. Every cause needs a leader who's drive cannot be captured in a PowerPoint presentation. Love it or hate it, but this leader is you. And if you don't have the time to be with your troops when they need you, find someone who cares enough about your cause to do it in your place. Leaders should be where the action is, and in your case that's among your community, customers, and staff. These days it's probably called word-of-mouth (WOM), yet in the old days, whenever the Partisans in Italy blew up another stronghold, the country knew about it in an instant. If one of your guerrilla marketing campaigns hits a homerun, get yourself a megaphone and shout it from the rooftops. You have taken another step to change the world. And don't take the credit yourself, but celebrate your heroes (customers, staff, and others), for they will be your biggest source of WOM. Guerrilla campaigns are by definition unorthodox, daring, visible, accountable, and prone to failure. This means that if you're in a large organization, people can get nervous about them. Prepare the ground by selling your bosses on your cause and the path you intend to walk. Demonstrate the benefits of involving your customer community and focusing your staff on "one goal." And if it looks like you really won't get any air cover, don't go it alone. Dead soldiers can't win wars. The Lion is the King of the Jungle! How Has The Internet Changed Marketing? I don’t know about you, but I am truly sick of hearing the phrase perception is reality. NO, it is not. It is your perceived reality and not necessarily what truly exists. Many sales people view market potential only through the eyes of their own perception. And, you know what I am about to say, most times this is not on the side of what is real or exists. If you cannot state the current in real terms, how can you forecast the future?? The best example is how people view the glass " half empty or half full"? How do you determine the outcome factor of "what happened??" Was it only filled half way or did someone take a few sips? Reality is the state of things as they actually exist, rather than as they may appear or may be thought to be. Wiki. Key words here: " Rather than as they may be thought to be". Perception is the process by which an organism attains awareness or understanding of its environment by organizing and interpreting sensory information. Wiki - Keyword here: Interpeting. I have met many a sales person who views potential through the eyes of their own single perception. In turn, they commit to that perception as being reality. They act, interpet and unfortunately convince others of THEIR truth. As stated, perception is not always reality as many would have you think. Your sales perception IQ views /examines and processes that reality. It creates what you believe, not entirely what it is. Consider for your perception my tale of the 2 Nike sales people. Two Nike sales people are sent by their Global Sales Manager to Africa. Their mission, determine Nike’s footwear sales potential in this market. Salesperson 1 is an older company veteran highly seasoned, award winning, with little time for nuances. Salesperson 2 is a young, award winning and known to be agressive in opening new potential markets. Sales person # 1 Reports : “I am coming home on next flight. There is no market for us, no one here wears shoes. I see little potential for our products. I recommend, I return to this market in a year or two and see if people start wearing shoes. Therefore, I am leaving on the next flight out. Sales person # 2 Reports : “Tell my wife to sell our house, we are relocating to Africa. No one, I repeat, no one wears shoes. The potential here is staggering!!! How fast can we launch our campaigns with unique value propositions? Please FedEx entire line samples to my hotel. I am looking for distributors now and will have distribution setup in 1 week with initial orders at the same time. Before you can determine your market potential, you need to determine reality NOT based on perception. You must see the market clearly for what it is, and not, for what you perceive it to be and then in turn what you want it to be. “Boss, the possibility of great potential for our products possibly exists. You may not know this but most people live life without shoes, they go bare foot. We need to determine; why people do not wear shoes and instead “choose” to go bare foot. I recommend, I stay longer, please send an initial marketing team. We can gather market research along with a focus group or two and prepare a marketing plan. We should then be able to determine market potential along with our price, position, placement, promotion and of course PERCEPTION (how are products will be viewed) and REALITY (can our products be sold).The key to this market will be why (factors determining choice price, availability, or knowledge), people currently go barefoot and will our product provide a viable solution. Addidas, dropped out of this market 2 years ago after 5 years and big losses, we must determine why, we do not want to duplicate their issues. And boss, thanks for the opportunity". PS: AND BOSS, THANKS FOR THE OPPORTUNITY. Here are our 7 Simple Principles of B2B Marketing Strategy spelled out in simple and user friendly terms. By using this guide you should be able to get a handle on your B2B marketing and design a program for success. Deliver clear, relevant messages consistently well over time to carefully selected - targeted prospects. Targeting. Aim your marketing campaigns toward the people who most want to hear from you: Prospects with the same needs and demographics as your best customers. Relevance. In a noisy marketplace, people tune out messages that aren’t directly relevant to their interests. Know the needs of the business decision-makers you’re targeting and tailor your messages accordingly. Consistency. Marketing across all channels – from paid advertising to sales letters, from websites to face-to-face presentations – should support your brand positioning and consistently repeat the same key statements about who you are, what you do, and how you do it better than anyone else. Credibility. Business prospects need to trust and believe you to recommend you or buy from you. Back up your marketing claims with case studies, testimonials, and statistics to establish credibility and position your company as a trusted provider. Clarity. Get to the point with straightforward messages that prospects can easily understand and remember. Keep jargon and tech talk to a minimum. Frequency. Prospects need to hear from you regularly and often to keep you top of mind. Be visible to be memorable. Quality. Marketing campaigns and materials should reflect your company’s stature in your industry and commitment to quality. Going cheap can be expensive in the long run if it costs you the chance to make the sale. If you need experienced expert help in getting started with these ideas, Contact us Today for a Free 1 Hour Consultation. With your success in mind, I'’ve created a checklist of best practices and tactics to give you practical ideas and solutions for marketing in 2010's recovering economy. All projections and forecasts moving forward point to a recovering and improving economy. The question which seems in "play" is how soon. While no one person is confident in their predictions that should not preclude you from growing your business, or in some cases rebuilding your business. Here are my ideas. Now, more than ever, measurability and accountability should be a priority within your marketing strategy for 2010. By marketing online, you’re able to measure the results of your marketing dollars. Phoenix ONE can help you to ensure that your marketing dollars are committed to those programs that produce results. Move Into Your Sales Department. Get closer to your sales team and listen to the conversations they’re having with prospects and clients – it’s more important than ever. Find out what they are facing and consider how your marketing plans need to adjust to what you’ve learned. Spell It Out, Post It, Make It Internally Known. 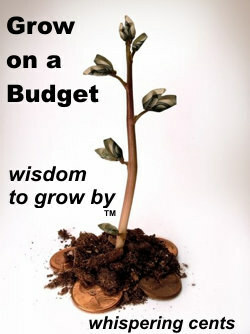 Refine your 2010 marketing plans for the current economic climate. Be certain that you’ve identified measurable goals and adopt a strategy that can produce results for your company. Make certain your a flexible. Change It Over. Fit your messaging to the times. What is your current VALUE BENEFITS to your clients. Rewrite your offer messaging to focus around product and service benefits. Rather than highlighting what your product does or how it does it – write about what problem it solves or how it will save money or resources. Be Your Client or Prospect. Do You Know YOUR UVP, USP,UMP and UPP- Unique Value Proposition, Unique Sales Proposition, Unique Marketing Proposition, and of course your Unique Perceived Proposition - any of these missing -develop them immediately with outside help! Help Now. Offer your marketing expertise in every way possible to help your sales team write proposals and presentations. Effective marketing includes providing the sales team with messaging and sales support tools. Look Back. Review the strategies and tactics that have put you in front of your target audience and decide if they are worth repeating or not. Pitch In. Showcase the value-added services that you provide to customers. If you don’t have any, now might be the time to develop some. Add it up. Every marketing dollar you spend should work to generate qualified leads for your sales team. This happens all the time in business to business sales, in service marketing, in getting along with your boss and even in hiring someone. One side thinks they have figured out a solution. They spend a long time talking about the solution, architecting it, refining it, pricing it, pitching it, delivering it. The other side ends up not liking what they get. The disconnect: the first side says, "this solution is exactly as we described it!" the other side says, "it doesn't work right." The disconnect is caused because people focus on the solution instead of the problem you were given to solve. It's a lot easier and much more fun to talk about features and hours spent and someone's resume and a lot more difficult to dig into the problem itself. The problem becomes avoidable but simply discussing all the features and benefits that solve multitudes of problems, regardless if this current problem in included. This is where the obligating question becomes so critical. "If we can deliver a dam that stops the water flow, will you be delighted?" "If I can hire someone who can answer ten calls an hour and keep customers coming back, will that work?" "If this book cover receives an award for best design, will that be a win?" The difficult conversation about the problem is far more useful than the endless effort on solutions. The reason is that people don't tell themselves (or you) about the problem they're actually solving.In many cases too many clients do not know what they are truly trying to solve. Many times they simply have a problem without even knowing it! Remember that this cannot be changed later so make sure you select the best industry available for your business. Make sure that it is exactly as you use it on your site to maximize return. We suggest you use your logo, a picture of your products or location, etc. If you do not have a physical address and are solely an ecommerce site enter general information like “Texas” instead of a full address. You will want to put in as much information about your business as you can- pictures, notes, videos, etc. Make it personal to attract the maximum number of viewers. Decide whether you want to have complete control over the page or if you would like those familiar with your business or brand to contribute also. We recommend making the group available to all users to reach the widest audience. It will ask you if you want to publish the story on your profile, which you should do so that all your friends can see that the group was recently created. After designing the ad, setting the targeting (which gives you the approximate reach of your ad depending on your selections) and setting the budget your ad will be ready to go. Regardless if you’ve been in business for years or are just getting started, building a brand for your company is critical for your business success. When we think of a brand the first thing that comes to mind for many of us are large, well known companies like Target®, Starbucks® or Home Depot®. These companies have done very well at cultivating their brand, and although you may not be a huge operation like one of these, there is still a lot you can learn and apply to your own businesses by gaining a better understanding of these brands. So what is a brand?A brand is more than just your logo, company name or tagline. Simply put, a brand is a promise - a collection of perceptions in the mind of the customer that must be delivered upon consistently. A brand is different than a product or service; it is intangible and delicate. Just like a reputation you need to guard your brand carefully and listen closely to what others are saying so you can begin to influence their thoughts. The logos of a strong brand can elicit an emotional response. For example, when you think of Target the image of a red and white bull’s-eye most likely comes to mind. Not only that, but you probably think of clean and friendly stores, shopping convenience, and helpful customer service. You’ll also notice that your experience at different Target stores will be consistent. This isn’t just by chance. Companies spend a lot of time and effort assuring that the customer experience will be consistent across stores, sales channels and within the marketing plan. To begin building a strong brand you’ll first need to identify your brand characteristics and values. These are guiding principles for your company. Think of the adjectives, attributes, or emotions that you want your customers to say or think of when they mention your company or share a recommendation with a friend. Make sure these guiding principles align with your mission and goals. By taking the time to define your core brand characteristics you will be able to build a stronger business identity. For example, many people associate Home Depot with empowerment and helpfulness. Starbucks customers loyally return for more coffee because of the feeling of luxury and the high standards of service. After you have your core brand values determined, only then can you think about what your brand should visually look like. Your brand is the foundation for your business including operations, service, and products and of course, all marketing activities. Bringing your brand to life means embodying the brand in everything you do. The brand should be reflected whenever you talk to a customer or develop new products. If you are truly living your brand you’ll see your core brand values reflected in the way you attack problems, work with vendors and suppliers and even how you choose to communicate to any employees within your company. How can you be sure your brand is reflected in everything you do? Continually think about your customers. Always ask yourself, will my customers view this interaction as a reflection of my core values? Regardless if it is a support phone call, a purchase experience, or a simple interaction with an employee, every interaction will influence a customer’s perception of your brand. We mentioned that consistency is important when refining your brand perceptions. Here are a few tools to help guide your brand. This tool will help you to understand your audience. If you take the time to really get to know your base of potential buyers you’ll be able to narrow down your audience (if necessary) and find the niche that suits your business. Here are a few steps towards building out your buyer personas. Read everything they read. This includes magazines, blogs, and YouTube® videos, anything relevant to your target audience. Attend seminars and monitor conference topics. Talk with sales people, suppliers and vendors. Gain information by talking with customers who have and have not purchased your product or service. Capture data through your website. For example, how did they find your website, through a Google® search or a link on a partner site? Conduct interviews formally or casually. The bottom line - get to know your audience inside and out. Understand their needs, wants, and frustrations along with their habits, likes, and dislikes. Learn how they digest information, gain insight into preferred communication vehicles, and most importantly listen to what they say. Your core values, and thus your brand, should align with the behaviors and expectations of your customers. A style guide is helpful in delivering consistency across your brand. It is a handbook that can be distributed through the company and even shared with vendors or contractors who are doing design work for you. Included in your style guide are guidelines for color, logo, and typography usage. You can include copy guidelines and legal requirements as well. It may seem like extra work but choosing specific colors and fonts and ensuring that those assets are used across all customer facing materials can make a difference in the level of professionalism and output of your creative elements. Additionally, if you decide to hire someone to create or update a website, flyers, or other brochure ware you’ll ensure a consistent look and feel across your marketing materials. This is one of the most essential elements of your brand – your elevator pitch. Also referred to as a cocktail party pitch, this tool is your 10-30 second brief on your company. We’ve all been there; someone asks you what you do or what your company does and then you are presented with an opportunity to make a lasting impression on a potential customer. You need to convey who you are, what you do, and why you do it, all within a sentence or two. It’s best to have this prepared, practiced and refined for different audiences. This is your opportunity to shine while talking about your business. If there are multiple people in your office take the time to discuss your elevator pitches with each other. The more consistent they are the better – remember every interaction with any of your employees is a chance to influence prospective buyers. Now that we have taken a deeper look into what a brand is and how to develop it, here are some tools to help influence your brand. It is important to remember that your brand isn’t just about your company it’s about your customers and the relationship you have with them. Engage your customers in your brand marketing. Use testimonials and customer success stories in your marketing materials. Collect feedback from your customers and directly address questions, concerns, and thank them for any praise. 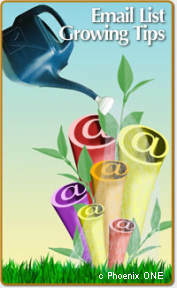 Leverage a variety of marketing channels, including forums or a blog. Invite your customers to join in a conversation. Talk about your customers, not yourself or your company, in marketing communications; address their needs and share solutions for their problems. It’s important to remember a brand is more than a name. It's the entire essence of your business -- who you are, what you stand for, and how you back up your promises. Your brand lives in the perceptions of your customers and you and others can influence that perception. You don't need a huge budget to snare new customers—just effective marketing. Getting the world to beat a path to your door requires more than just a great idea. You need to let potential customers know about your services or products—and why they should buy. But the whole idea of marketing can give you heartburn. How can you compete with all the slick ads on TV, billboards, and in glossy magazines? Relax. You don't need to worry about the high-profile marketing that comes from big corporations. These companies probably aren't your competition, and there are lots of ways to attract customers without breaking the bank. Put a marketing plan together and find your USP !! Like much of business, marketing requires planning, and putting a marketing plan together is the best place to start when you're thinking about attracting customers. Even if your plan is just an outline, it will give you a profile of the people who are most likely to buy your products or services: who they are, where they're located, what they like, and how much they're likely to spend on the products or services you offer. But it's the first point—what makes your business different and better—that you need to start with. Why? 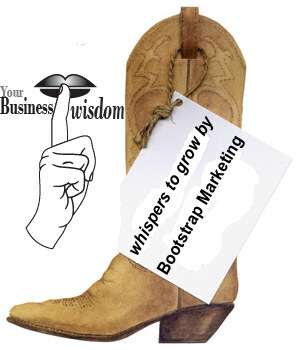 Your Business Whisperer drills new business owners in the importance of USP. No, not the University of Solve Problems, but Your Unique Selling Proposition and Unique Value Proposition. This means having a very clear idea why your product or service is better than the competition and what value you provide to your customers. Once you figure this out, the rest of your marketing plan will become easier to outline. Plus, you'll be able to recite what is often called "the elevator speech," which is a quick 30-second summary of what makes your company great. Your USP should be simple and to the point—and something you can use as a tag line that follows your business name in advertisements, listings, and on your business cards. Perhaps affordability is what differentiates you from other plumbers, which is why you use the phrase, "plumbing fit for a king and priced for the rest of us." Or if your creativity is what's most important, you might add "one-of-a-kind weddings designed just for you." Getting people in the door takes advertising—and more - Read Our Advertising Section for some additional wisdom and advice. Once you have your USP, you'll want to think about advertising—and getting the most bang for the buck. This means things like buying a listing in the Yellow Pages, printing coupons, and advertising in local newspapers. An additional item to consider before embarking on expensive marketing campaigns is to be certain that the trademark associated with your product or service is not already being used by a third party. You don't want to spend a lot of money advertising when a competitor may already be using your trademark, or a similar trademark, in commerce. Make sure you have registered your company trademark federally (with the U.S. Patent & Trademark Office) before investing significant business dollars in marketing. To learn more about Trademark Search & Registration see our link on the bottom of this page. There are other advertising opportunities out there, too. If you've put some thought into who your customers are, you'll probably know whether they read trade or special interest publications. If ad rates seem too high in these magazines, you can often get great exposure by listing in the classified sections of the very same publications. While an ad can make people interested in your business, don't forget the power of word-of-mouth marketing. If you have happy customers, use these people as a way to get more happy customers. There's absolutely nothing wrong with asking satisfied customers to mention your products and services to their friends. And if you have a Web site or brochure, see if you can include a quote or two from your customers that sing your praises. Aside from the obituaries, we all like the idea of seeing our names in print. While a front-page story in The Wall Street Journal is a long shot when you're first starting out, there are other places where you can get press coverage. Your first press release—a simple announcement that goes to reporters—should announce that you've started a business in a certain location to sell particular products or services. Once you've completed the press release, get in touch with local and neighborhood newspapers to find out which editors or reporters might be interested in your announcement. And if your business is in an industry that has its own specialized trade magazines, get in touch with those publications, too. While press coverage isn't guaranteed like advertising, getting your business mentioned by a newspaper or magazine can be very effective in attracting customers. What kind of information do you want people to know about your business? Advertising and public relations provide the basics, but you'll probably also want customers to understand a little more about what makes your business unique. A simple two- or four-page brochure can nicely explain things like services, products, and prices with both pictures and text. Your local printer may be able to help you create an effective brochure. Keep in mind, though, that a good brochure is straightforward and explains the benefits of what you have to offer, rather than going into exhausting detail about the products or services you provide. That's where your Web site can come into play. On your site, you can start where the brochure ends and provide as many details as you think your customers will find interesting. Also keep in mind that just having a Web site doesn't mean people will find you. So unless you want to feel like you're running a lemonade stand by the side of an abandoned road, talk to your Web hosting company about how to get the most out of search engines. One of the exciting things about running a business is happy customers—particularly those who keep coming back because they find value in what you have to offer. Make sure you stay in touch with these people! Ask customers if they'd like to be on your mailing list so you can keep them up-to-date with special offers. Remember: a direct mailing campaign has a higher success rate when it goes to existing customers who agree that you can contact them. You'll want to keep track of these people in a database or spreadsheet. Sound like a chore? Hardly. It will be proof that the world is beating a path to your doorstep.